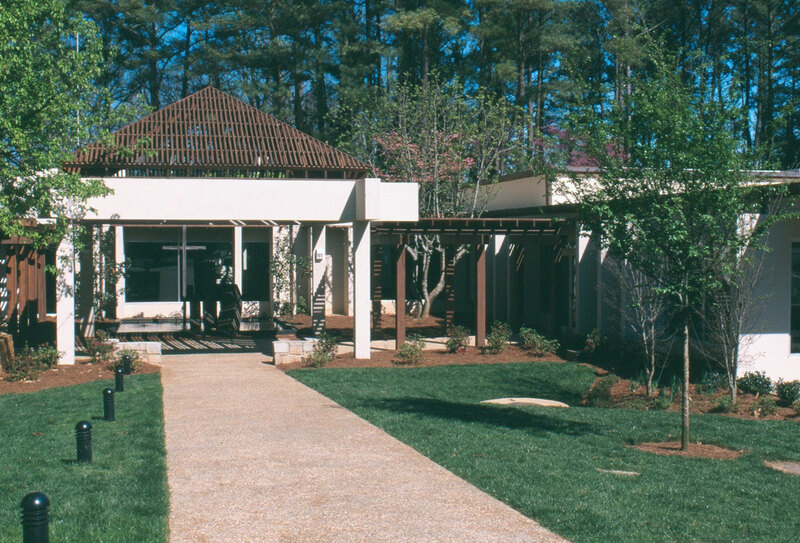 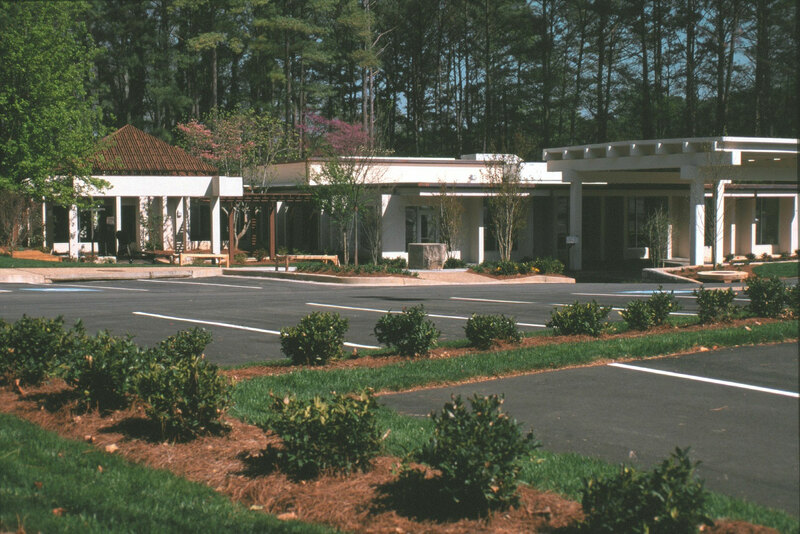 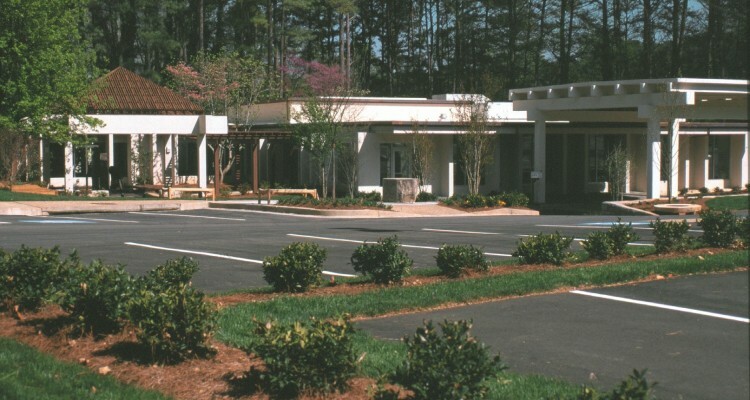 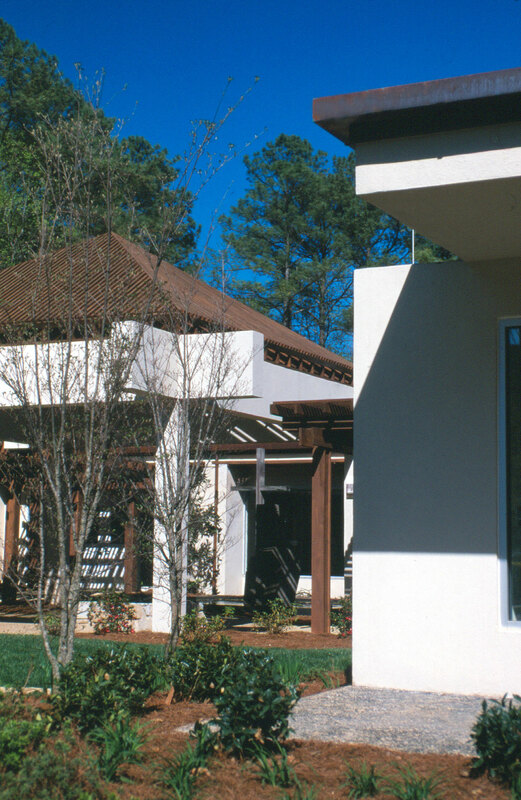 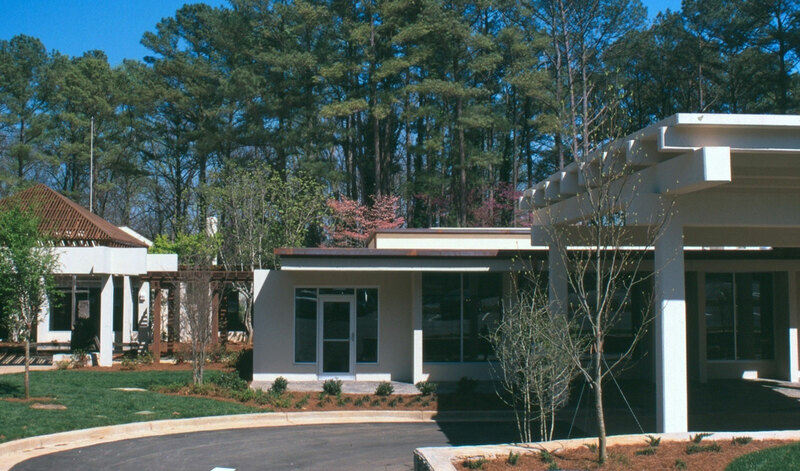 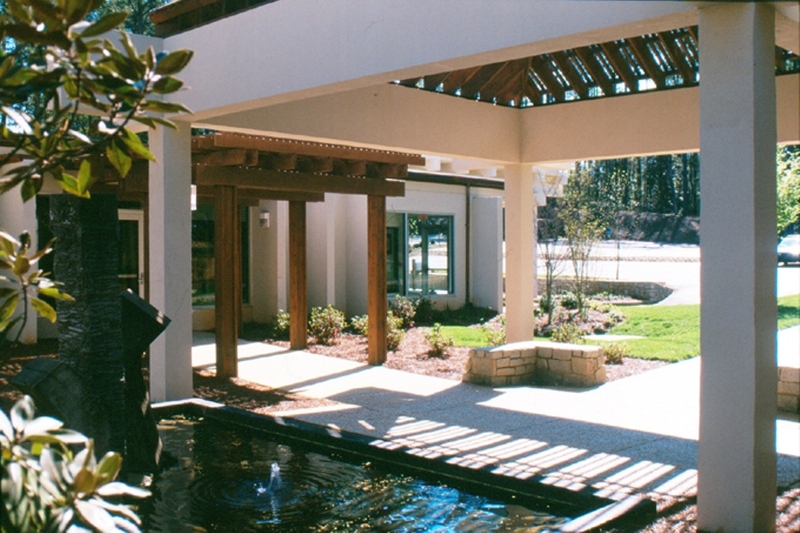 The major program elements of this project included redesign of portions of the interior, expansion of the fellowship hall, a new kitchen, a new wing incorporating church offices, a vehicular drop-off area, and redesign of the parking lot. 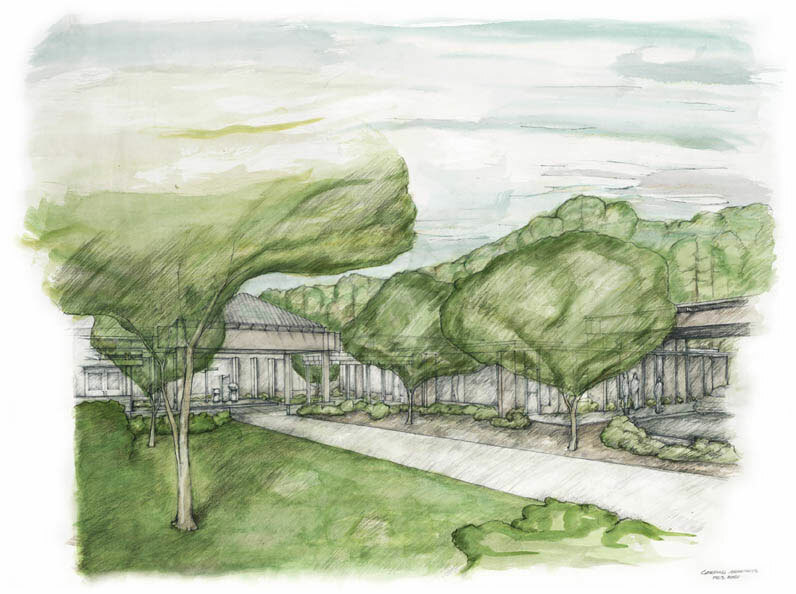 A respect for the modern simplicity of the existing architecture, preserving the tranquil procession to the original building entrance, and maintaining the intimate connection between the interior and exterior spaces were primary considerations in developing the design solution. 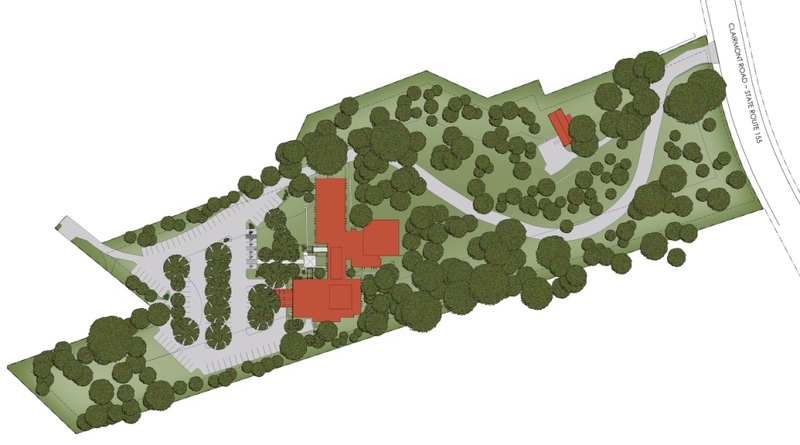 The parking lot design incorporates bio-swales between parking bays, eliminating curbs between the bays and reducing the rate and quantity of storm-water runoff.